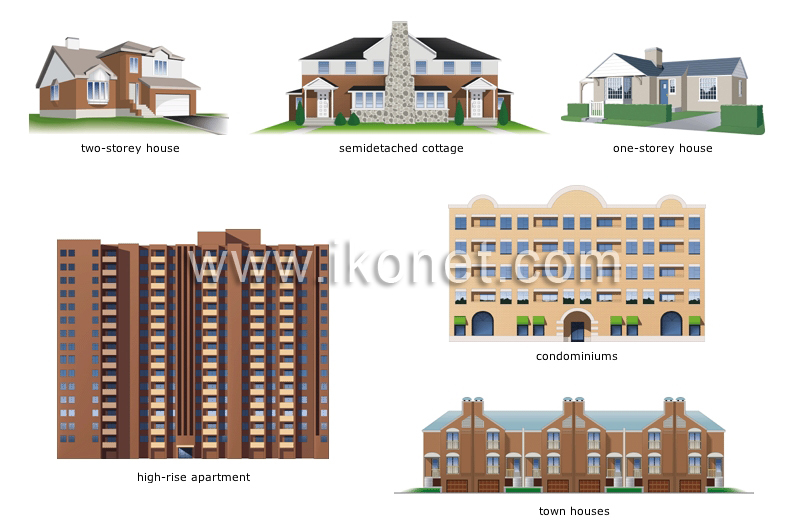 Dwelling types found in large urban centers. Houses of the same height built in more or less the same style and separated by party walls. Tall building containing multiple dwellings. Single-family dwelling separated from another dwelling by a party wall. Single-family dwelling that contains only one level, the first floor. Single-family dwelling that contains two levels, the first floor and a second floor.